A long-time restaurant inside the 1000 Wilson Blvd food court has closed its doors for good. The Great Eatery was a cafeteria-style restaurant offering convenient, casual dining to those working in the office tower. It had been located inside 1000 Wilson Blvd for 30 years. According to Monday Properties, the owners of the restaurant decided to retire. For over 30 years, The Great Eatery has been an essential part of our daily routines. The Moon Family has dedicated their time to serving us our breakfast in the mornings and welcomed everyone in the Rosslyn community for lunch. However, at the end of August, Mr. Moon will retire, and The Great Eatery will discontinue doing business. Monday Properties has certainly valued the warmth and hospitality from The Moon Family over the years, and we congratulate them for over three decades of hard work. 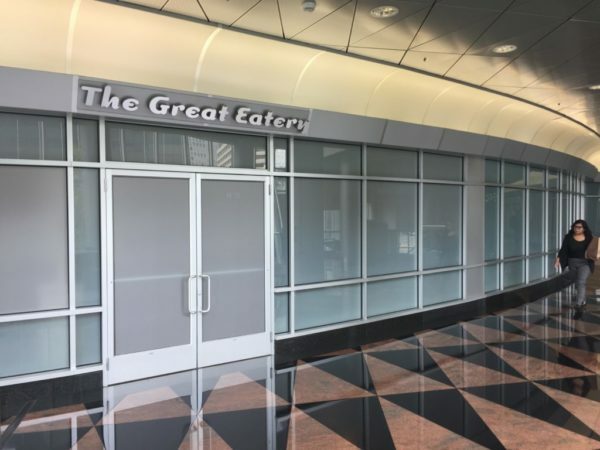 The Great Eatery was the first dining option to open here at the towers, and we are thankful for many memories. We wish everyone at The Great Eatery all the best.